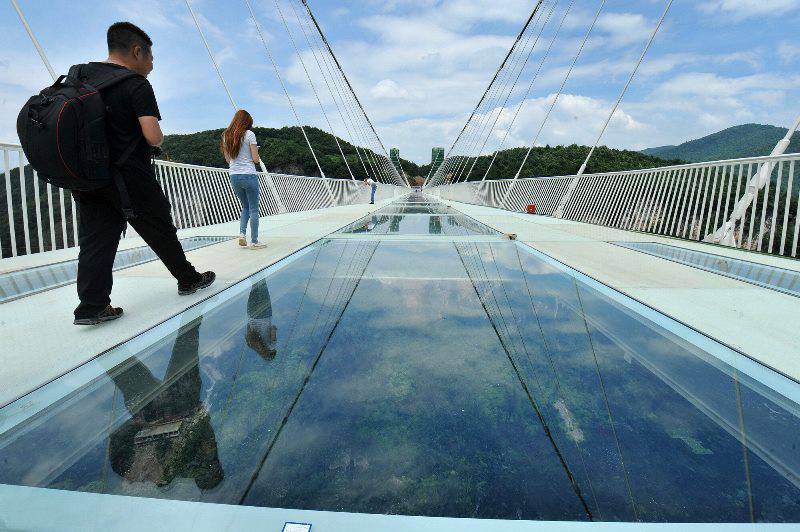 The Danjiang Bridge has been commissioned by the Directorate of Highways of Taiwan and will be the world’s longest single-mast asymmetrical cable-stayed bridge. Located at the mouth of Tamsui River, the Danjiang Bridge is integral to the infrastructure upgrading program of northern Taiwan, enhancing accessibility throughout the region with the rapidly expanding Port of Taipei/Taipei Harbour—the region’s busiest shipping port. The bridge will also increase connectivity between local neighbourhoods and significantly reduce through-traffic in the region’s town centres. The bridge design minimises its visual impact by using a single 200 metre concrete structural mast to support the 920m road, rail, cycle and pedestrian deck made from steel. 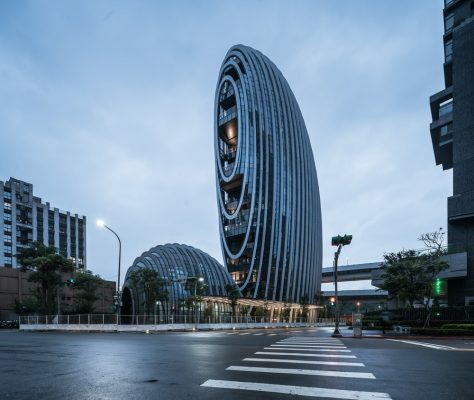 Zaha Hadid Architects was commissioned as design consultants alongside lead structural engineer Leonhardt, Andrä and Partner in Germany together with Sinotech Engineering Consultants in Taiwan acting as local engineering consultants. 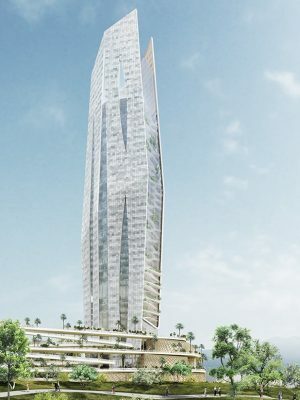 Given the project’s scale and engineering challenges, as well as the geographic distance between consultant teams, ZHA elected to use Dassault Systemes CATIA 3D EXPERIENCE On Cloud, supplied and supported by Desktop Engineering (DTE), to implement the project. This cloud-based 3D design system provides a common 3D data platform for all parties between Europe and Asia and acted as the central data repository, or Common Data Environment in BIM terms, for the project. Resulting in enhanced collaboration and communication across all members of the design team, the improved information flow and real-time design collaboration enabled the team to meet all deadlines with ease through improved design productivity. 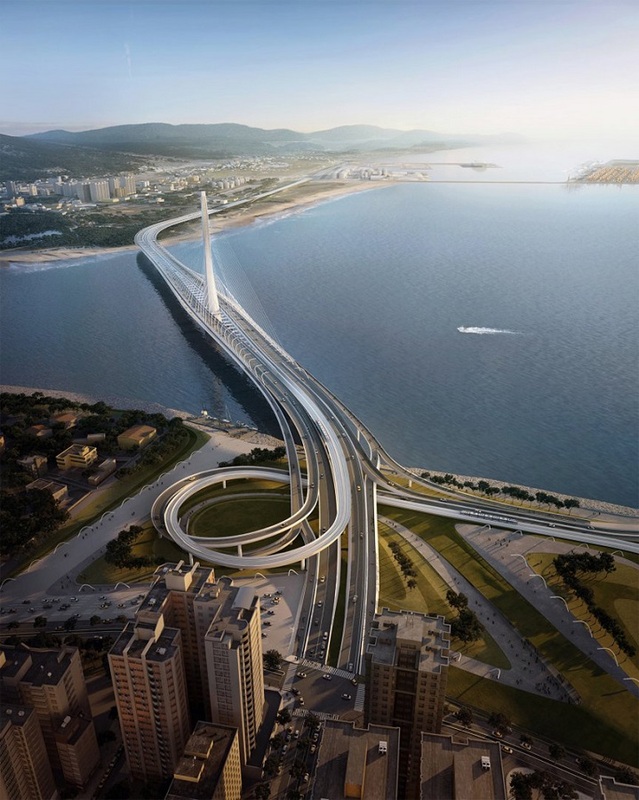 Zaha Hadid Architects announced as winner of the Danjiang bridge International Competition in Taiwan, collaborating with Leonhardt, Andrä und Partner. 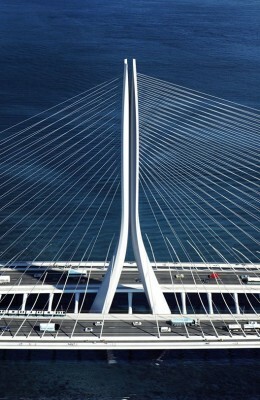 The bridge uses a single mast to support 920 m long highway and connects an area by the Taiwan Straight, over the mouth of the Tamsui River. 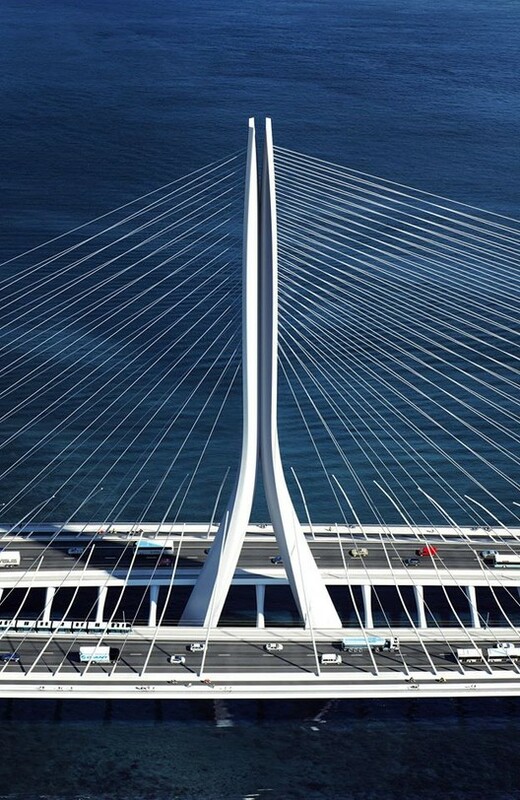 Located at the mouth of Tamsui River that flows through the capital Taipei, the Danjiang Bridge is integral to the infrastructure upgrading program of northern Taiwan. 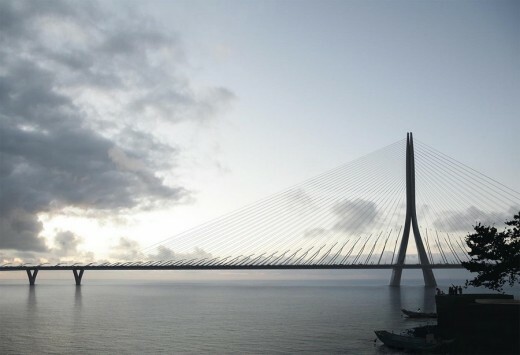 The bridge will increase connectivity between neighbourhoods and reduce through-traffic on local roads within local town centres by linking the Highways 2 and 15, with the West Coast Expressway (Route 61) and Bali-Xindian Expressway (Route 64). 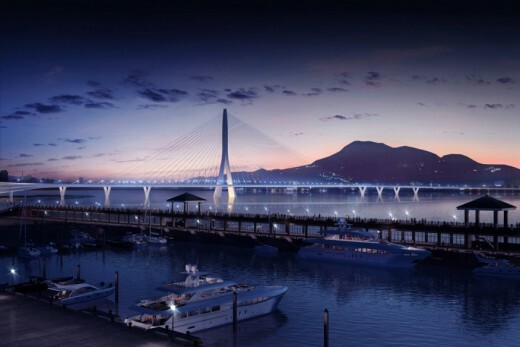 By also reducing traffic from the congested Guandu Bridge upriver, the Danjiang Bridge will greatly improve the northern coast traffic system and enhance accessibility throughout the region with the rapidly expanding Port of Taipei/Taipei Harbour, the region’s busiest shipping port. 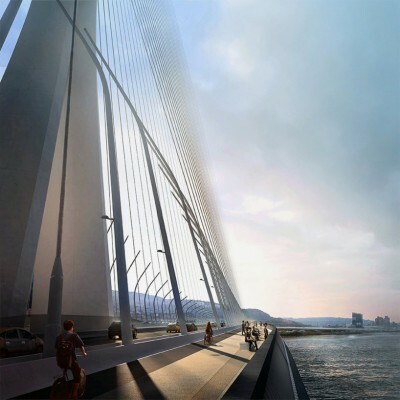 The Danjiang Bridge will also allow for the extension of Danhai Light Rail Transportation (DHLRT) system over the Tamsui River to connect the town of BaLi and the Port/Harbour with Taipei’s public rail network. The Tamsui River estuary is a natural environment flanked by the urban centres of Tamsui to the East and Bali to the west. 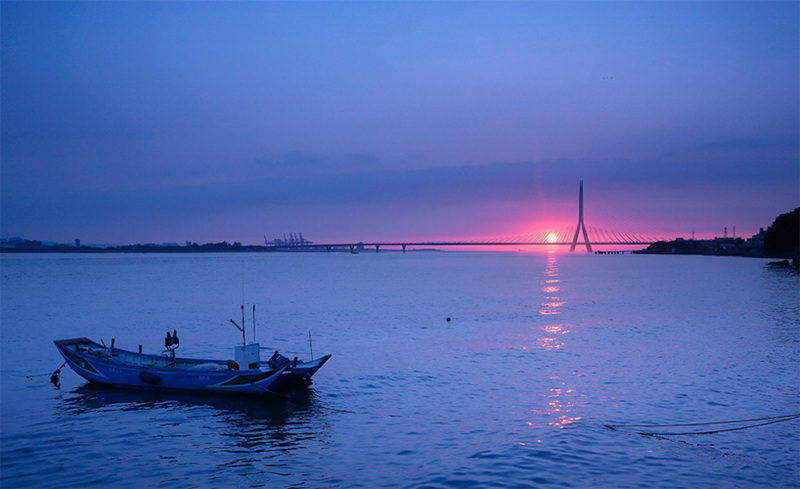 The estuary is rapidly growing in popularity with both residents and tourists as a recreational area where people gather each day to watch the sun setting over the Taiwan Strait. 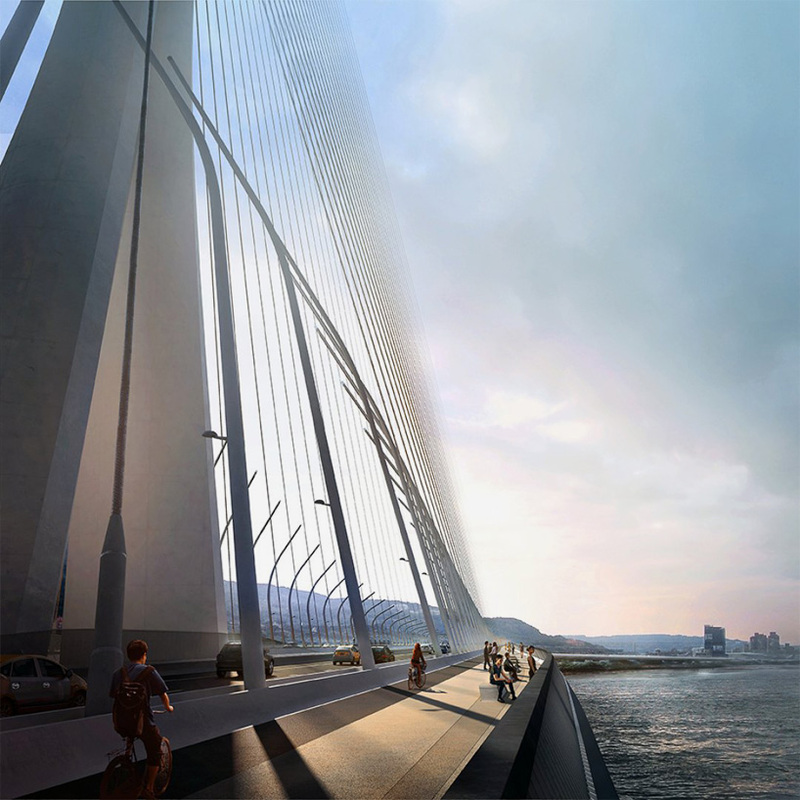 The cable-stayed bridge design minimises its visual impact by using only one concrete structural mast to support the 920m road, rail and pedestrian deck made from steel. The Danjiang Bridge will be the world’s longest single-tower, asymmetric cable-stayed bridge. The mast is designed and engineered to be as slender as possible and positioned to offer the best structural performance, avoid impeding the navigability of the river and also minimise any interference with the views of the sunset from popular viewing points along the river. This single-mast design also minimizes structural elements in the riverbed in accordance with the increased protection programs of the estuary’s ecosystems. 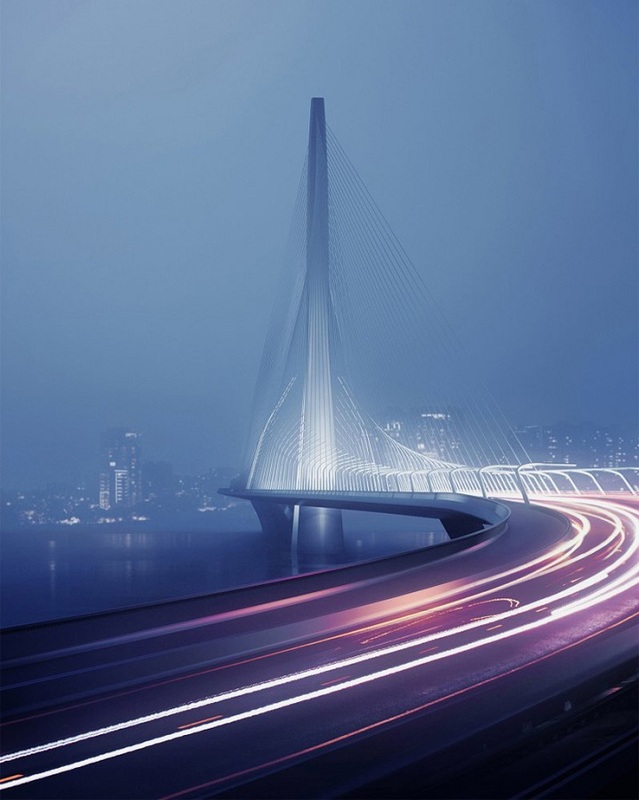 ZHA will work with German-based civil engineering company Leonhardt, Andrä & Partner, and Taiwan-based Sinotech Engineering Consultants.